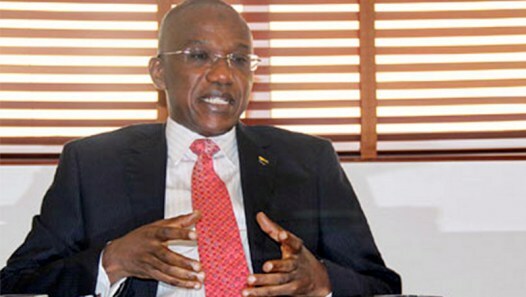 The Asset Management Corporation of Nigeria (AMCON), says that only 350 Nigerians are responsible for more than 80 per cent of the N5.4 trillion debt portfolio of the company. The Managing Director/Chief Executive Officer of AMCON, Ahmed Kuru disclosed this in an interview with the News Agency of Nigeria (NAN) in Abuja on Wednesday. According to Mr Kuru, the 350 Nigerians or their businesses, owe a whopping N4.3 trillion of the N5.4 trillion debt profile of the company, an amount which is over 50 per cent of the 2018 Budget of Nigeria. Speaking on the challenges faced by the company and the hitches experienced during recoveries, Mr Kuru said many of the debtors were yet to pay as AMCON had only recovered about N700 billion. He said it was unfair that AMCON was now only known for recoveries and taking over of companies, adding that when the company played the first two roles of intervention and support, nobody complained. “Our responsibility is first to intervene, then provide support before we recover, we have done the two, nobody has complained, now that we are doing the third people are complaining. “The people complaining are those people that do not want to meet their obligations. Some of the obligors owe as much as N200 billion. “We have 350 Nigerians that have obligations or control more than 80 per cent of all AMCONs debt portfolio. “So, if you are talking about N5.4 trillion, only 350 Nigerians are supposed to pay more than 80 per cent of that amount, and they are normal people you see on the streets.” he said. He said that loans recovery was not a pleasant job, stressing that most people do not want to pay loans. According to him, there is no way AMCON or Nigeria is going to write off the more than N5.4 trillion debts sitting on the balance sheet of the Central Bank of Nigeria (CBN). Mr Kuru said that the only way to get those evading their paybacks was to use the instrument of law. He, however, said that the judicial system was a major challenge to the operations of AMCON. “I can tell you that today, our major challenge has to do with the judicial process. “In other climes, what they do is that they allow AMCON to own the assets ab-initio, which means I have paid for the loans from the commercial banks, I have taken over the loan and I will take it over with the assets so I can sell the assets from day one. “But here, somebody can decide to take you to court and he has to be heard. He can lock you up with judicial processes and technicalities for 10 years, 15 years or even 20 years. “If we can have a system where rightly or wrongly we can conclude a case within three months, we can finish our assignments and go. “The most fundamental thing is that this money must be recovered whether they like it or not. “So, it is either they come to us and we negotiate, and have a payment plan, or we take over your asset that is what the law says, it has nothing to do with AMCON,” he said. Mr Kuru regretted that most times, even when the obligors come and negotiate a payment pattern, they end up not paying at all. This, he said, had necessitated AMCON to directly confiscate assets rather than wasting time on repayment negotiations.